Minister of Housing and Urban Development Phil Twyford on July 27th confirmed $52 million of 10-year interest-free loans to Queenstown Lakes District Council to support major infrastructure projects around Kingston and Frankton Flats. 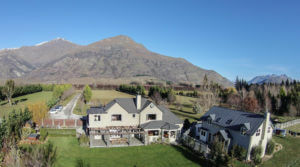 These are just a 10 minute and 5 minute drive from our Queenstown Property Syndication. Of particular note in his release was the comment: “More announcements are coming. Officials from the Ministry of Business, Innovation and Employment and the New Zealand Transport Agency are currently working with Queenstown Lakes District Council on a proposal for further development at Ladies Mile. ← Are Property Finders the same as Buyers’ Agents?